Huffman, 56, was accused of paying a consultant $15,000 disguised as a charitable donation to boost her daughter's SAT score. Authorities say the actress also discussed going through with the same plan for her younger daughter but ultimately decided not to. 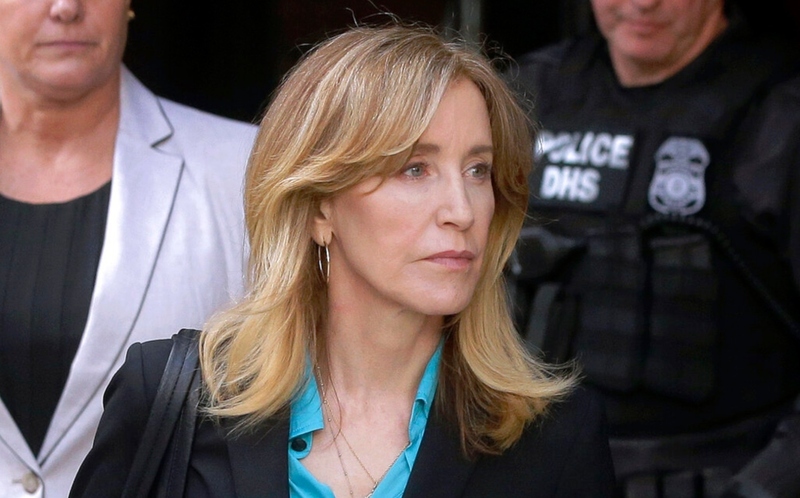 She will plead guilty to a single charge of conspiracy and fraud, according to court documents. Those charges are punishable by up to 20 years in prison, but the plea agreement indicates prosecutors will seek a sentence of four to 10 months. Experts have said they expect some parents will avoid prison time if they quickly accept responsibility. All of the defendants will have to return to Boston to enter formal guilty pleas, but no new court dates were set. The consultant, Rick Singer, met with Huffman and her husband, 69-year-old actor William H. Macy, at their Los Angeles home and explained to them that he "controlled" a testing center and could have somebody secretly change their daughter's answers, authorities said. Singer told investigators Huffman and her husband agreed to the plan. In a statement offering her first public comments since her arrest, Huffman apologized, took responsibility for her actions and said she would accept the consequences. "My daughter knew absolutely nothing about my actions, and in my misguided and profoundly wrong way, I have betrayed her. This transgression toward her and the public I will carry for the rest of my life. My desire to help my daughter is no excuse to break the law or engage in dishonesty," she said. The streaming service Netflix said Monday that the April 26 release date of a film starring Huffman, called "Otherhood," will be moved with a new release date to be determined. Michael Center, the former men's tennis coach at the University of Texas at Austin, has also agreed to plead guilty, prosecutors said Monday. Center was accused of accepting nearly $100,000 to help a non-tennis playing applicant get admitted as a recruit. Loughlin and Giannulli may be hoping they can get a better deal once the media attention dies down, said former prosecutor Adam Citron. They are also accused of paying much more than Huffman and some other parents, which would call for stiffer penalties under the sentencing guidelines. Prosecutors "are likely trying to hold her out as an example, so I would assume the plea deal was not the same plea deal as the other defendants," said Citron, an attorney at New York's Davidoff Hutcher & Citron LLP. 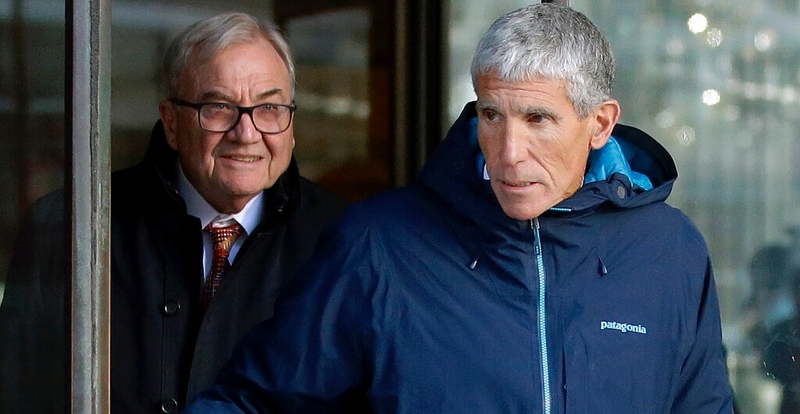 Several coaches have also been charged, including longtime tennis coach Gordon Ernst who's accused of getting $2.7 million in bribes to designate at least 12 applicants as recruits to Georgetown. Ernst, who was also the personal tennis coach for former first lady Michelle Obama and her daughters, and other coaches have pleaded not guilty.